This is the final paragraph in an autobiographical account of Viswanath Swami’s life and remembrances of Sri Ramana Maharshi. 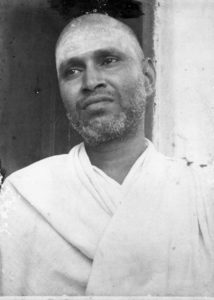 Viswanath Swami was one of the most celebrated of Ramana Maharshi’s devotees as exemplifying or embodying practice of his way. He lived from from 1904 through 1979. I found especially important the sentence in this account where it is said, “even we, the many who have not understood and utilised properly this rare opportunity of Bhagavan’s advent in our midst”. It is this self-understanding that I believe gives integrity to Adidam and our practice. Certainly the same can be said for the way in which all of us devotees understood and utilized the rare opportunity that was the Appearance of Adi Da Samraj. Adi Da and all that He offered and offers is so great. 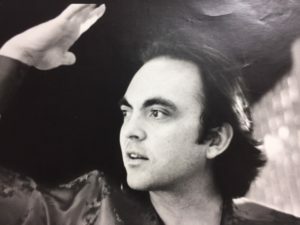 Yet, the truth is that Adi Da struggled with our lack of response to Him, and the world’s non-response to Him. He was Giving with both hands and great arms of love, but we could only use His Gifts just so much. 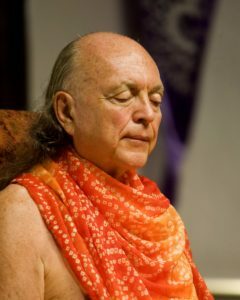 There is no doubt about this to any who know the intimate history of Adi Da’s Own relationship to His devotees and to the world. It is on that reality-basis that I feel that we can move beyond our own cultism and past-history and embrace the continued future of Adidam. I may add to this post, but it is greatly relieving to me in some sense to see this quote from Vishwanath Swami, and to acknowledge this. This talk, now turned into an essay, first appeared in print in Scientific Proof of the Existence of God Will Soon Be Announced by the White House! in 1980 under the title, “Radical Politics for Ordinary Men and Women”. But I remember Bhagavan Adi Da talking about the manuscript for this and the other similar essays that He was working on, back in 1975. With the present state of the culture in the world and within Adidam I find it more and more relevant and useful. It has helped me a lot and is a present calling to all of us much as ever. Of course the full essay itself is recommended, and that is in Not-Two Is Peace. The existence of the big political “system” does not make any ultimate positive difference in the daily life of the individual. You can and must live a truly free, responsible life, regardless of the “system” or the “news”. Of course, it can be done a little more easily if the “system” is relatively accommodating and the “news” is relatively benign. You would have to be more inventive to do it in an absolutist society, or during a war in a bombed-out town. Nevertheless—regardless of the larger politics or the state of the “news—the truly human (and humanizing) politics of intimate, cooperative living can (and indeed, must) be done. And, therefore, the ego-transcending discipline of intimate, cooperative living is the only real and true politics—or the only genuine “realpolitik” (or Reality-politics) for ordinary (or truly human) men and women. The true change that you must create is not principally in the “system” itself (or in the parent-like world of competitive egos) but in the ordinary, daily associations between yourself and other human beings. People who would be free must live in a non-egoic manner, in intimate cooperation with one another. Human beings must truly understand themselves—in all of their external and internal egoity—and they must, on that basis, adapt to a cooperative and mutually tolerant arrangement of daily life, in which they are each personally responsible for the character of daily existence and in which they simply live together, intimately and seriously, free of reactive and dependent association with the parent-like abstract world of the “news”. . . . The true politics of the individual is in relation to what is intimate to him or her. Truly human politics is in the sphere of directly effective relationships, experienced on a daily basis—where the individual’s voice and experience can be directly heard and sympathetically felt. That fundamentally is politics. All the rest is only the vulgar and inherently disheartening daily “news” of the world-mummery of human egos. . . . 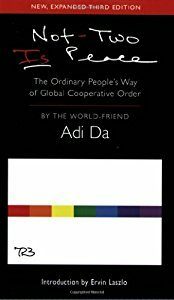 In a true cooperative human community every one knows what every one else has the tendency to become (when irresponsible) and the possibility to become (when responsible). And all serve one another at the level of that understanding. They all also know the functional character and capability of each one among them, and they amuse and enjoy and serve and employ one another at every appropriate level. Right responsibility for functional life (and, thus, for the positive unifying of the structures of the human individual, and of all of the members of the collective itself) must always be assumed, and demanded in a truly human (or truly ego-transcending, and cooperative and mutually tolerant) community. When it is not, that failure of responsibility (and, thus, of individual well-being and of collective unity) will, inevitably, weaken the community—and, thus, enable (or even oblige) shrewder men and women to exploit and oppress the members of the community, and make them slaves to their own egoity again. This post begins with stories of those who served with Bhagavan Sri Ramana Maharshi in the kitchen. For many years he very intimately served alongside the kitchen staff preparing the Ashram meals. This was a regular and every day occupation of his. When many of the stories of this first appeared in a book published in the late 1970s, (entitled Ramana Smriti) Adi Da Appreciated them very much. He felt that they balanced out a picture of Ramana Maharshi that was being presented characterizing him as a merely silent sage sitting on his couch, or talking about high scholarly matters. Bhagavan would take any amount of trouble to teach us the virtues necessary for Self-discovery. Our life in the ashram was a school of yoga, and a hard school too. For book-knowledge was nothing to him. Only character and genuine spiritual experience counted. With time he ceased working in the kitchen, but we could still find him in the dining hall. When all would leave after food, he would linger on his seat and we would collect around him to chat and listen to his precious words. He would teach us and guide us, and we would forget the years that had passed and be again the happy crowd of yore. One had to live and work with him to know what a great teacher he was. Through the trifles of daily life he taught us Vedanta both in theory and practice. He led us with absolute wisdom and infinite kindness. We were changed to the very root of our being, not even knowing the depth and scope of his influence. It is only now, after so many years, that we can see the meaning of his orders, prohibitions, reprimands and storms that we had to endure. At that time we understood so little and just obeyed, merely because we felt that he was God. Even that feeling we owed to his grace, for from time to time he would left us seem him as he really was: the Lord Almighty, and not the human frame to which we were accustomed. We were women, simple and uneducated. It was our love for him, a reflection of his love, which chained us to his feet and made us stay. For him we gave up hearth and home and all our earthly ties. We only knew that we were safe with him, that in some miraculous way he would take us to our goal. He himself was our goal, our real home. More than that we did not know or care. We were even slow to learn the lesson of equality between man and beast that he was so anxious to teach us. Tu us, he alone existed. His radiant form was enough for us. We did not know then that it was not enough, that a human soul must learn to embrace the universe and realise the Self’s own presence in every living being. We would concentrate too much on him and resent his compelling us to enlarge our attention to the manifestations of the Self that were all around us. His occasional harsh treatment would bewilder us and make us cry. Now we see that it was love that suffered as it laboured. Yogis control themselves severely for long periods to reach the state to which Bhagavan would take us by making us work near him in the kitchen. He would make the small tasks of daily life into avenues that led to light and bliss. We experienced ecstasy in grinding, rapture in cooking, joy in serving iddlies to devotees. Why? Because while we were doing these things , we were experiencing the state in which the mind is in the Heart. Our hearts were with him and in him, and he was in all the work we did. Someone who has not had this experience cannot really know how much bliss a human heart can contain. Although physically he is no more with us, he still directs us, as in the past. He will not let go his hold on us until we reach the other shore. This is our unshakable faith. We may not always be conscious of his guidance, but we are safe in his hands. A devotee once arranged for big feast for all the inmates and guests of the ashram. Bhagavan had a bad cold that day. Whenever he was afflicted in this way, he would not take milk, curds [yogurt] or coffee. That day the people in the kitchen prepared some sweet pancakes and planned to serve them with almond milk. We were all sad that Bhagavan would not be able to eat any. 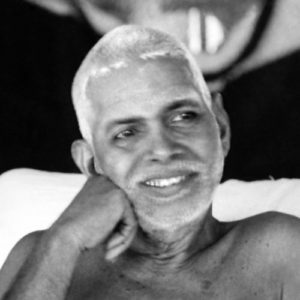 Chinnaswami [Ramana Maharshi’s brother and the sarvadhikari or overall manager of the Ashram], who was naturally anxious that the feast should go off without a hitch, assured us that Bhagavan would eventually relent and eat what we had prepared. ‘No,’ lied Raja Iyer, thinking that Bhagavan would be more likely to take some if he answered this way. ‘Then put some rasam [a savory thin watery soup which is flavoured with spices] on them,’ said Bhagavan. I had the almond milk in my hands so I poured it over his pancake. We then had to serve him rasam with one extra pancake. 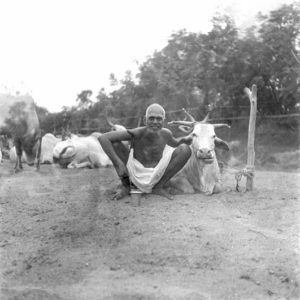 He mixed all of it together – sweet pancakes, almond milk, and rasam [Ramana Maharshi often mixed all of his food together this way, indifferent to the various tastes] – and then ate the strange-tasting, homogenized pulp on his plate. When he had finished, he continued complaining, ‘I ask for one thing and get another. I ask for plain pancakes and get sweet ones. I ask for rasam and get almost milk. You expect the swami to eat as he is told. You seem to know what is best for your swami. The next day Bhagavan refused to drink coffee. Since I believe that he was doing this punish us for our misbehaviour the day before, I gave up coffee too, as a penance, and a hard penance it was! A few days later Janaki Amma brought a huge pot of coffee and placed it before Bhagavan. He tasted some of Janaki’s coffee and began to take it regularly again soon after that. It would sometimes happen that some soup or vegetables would remain after serving everybody. It was Bhagavan’s standing order that such leftovers would be used as stock for the next day’s breakfast sambar [a brpwn spicy sauce made with dhal and vegetables used in every meal]. As iddlies with sambar was our standard breakfast, and since we needed sambar every morning, the leftovers from the previous day came in handy. But this order created a serious problem, for custom demanded that no leftover could be used the next day. Food cooked the day before was considered polluted and polluting. It was a matter of custom only, because fried food was excluded from the rule, and sweets and vadai [lens-shaped deep-fried savory]were kept for days. Bhagavan would come to the kitchen in the early hours in the morning, see what was left over from the night before, warm it up, dilute it, and add some more ingredients for the morning’s sambar. He would sometimes use a pot that was still black from the previous day’s cooking, when tradition demanded that it should first be washed and smeared with a paste of mud. The injunctions against food from the previous day is very much respected in the higher castes of South India, and no doubt it is a very salutary custom. But Bhagavan, insisting that the avoidance of waste overruled everything else, would never permit God’s gifts to be thrown away. As for giving leftovers to beggars, it was not practicable, for Bhagavan insisted that beggars be given the same good as everybody else, and not some inferior stuff. Even doges had to be fed the common meal, and first, too! The ladies would come in the morning to clean the kitchen and make it ready for the day’s cooking. When they found Bhagavan there brewing the morning’s sambar from the previous days leftovers they would be deeply distressed, but would not, of course, dare to admonish him. Bhagavan watched them and waited. Their distress was real and deep for they were risking loss of caste. On the other hand, Bhagavan’s instructions were clear – no waste of food in the ashram, and the same food for all. It was a tug of war between the wisdom of the Guru and the cultural habits of his followers. The ladies tried to be in the kitchen very early, but he was always there first, cooking the sambar. One day some of the sambar was taken to a devotee’s house, but when it was discovered that it was a sambar cooked from the previous day’s leftovers, a special ceremony was ordered to purify the house. The women, for the sake of their orthodox customs, lost Bhagavan’s constant presence, company and guidance. It was a real tragedy. All the devotees in the ashram believed that Bhagavan was God incarnate, and that he came to purify us, bless us, and put our feet firmly on the path to liberation. Yet when God himself went against their religious customs, they preferred to cling to their customs rather than to God. Thus again and again we drive God from our midst. A disciple is expected to choose between truth and convention. Blessed were those who had no other rule than obedience to Bhagavan. It was clear that Bhagavan was trying to each us the simple lesson that in his presence no rule was valid except the rule of absolute surrender. But it was not an easy lesson to learn. Again and again old habits and loyalties would assert themselves and make us it our will against his, to our greatest harm. . . . 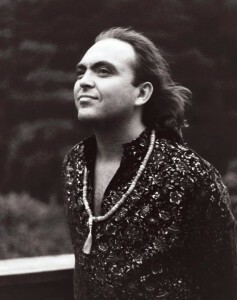 In 2001, Bhagavan Adi Da was temporarily staying at the Ahwahnee Hotel in Yosemite Valley. 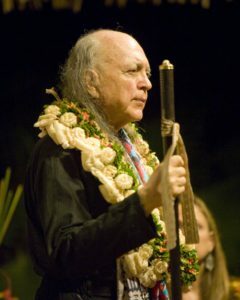 I had just returned from a trip to India in service of Bhagavan Adi Da. I was invited to come to Bhagavan Adi Da to bring the prasad and gifts from India to Him . The full story of this trip can be related in another place, but here I would to focus on one incident. I brought with me a white marble statue of Ganesh that had been carved by the Bharadwaj family in Jaipur, who have made so many marble murtis for Bhagavan Adi Da. It was about a foot in height. Bhagavan Adi Da was staying in one of the cabins that are part of the Ahwahnee hotel that are outside the main hotel building, but behind it. And there was also rented another cabin that served as a kind of office and what we called a “runner’s station”. Here things that we coming in or going out of Bhagavan’s Own Residence were brought. I brought the Ganesh statue here to offer to Bhagavan Adi Da. I had brought it from India and I have to say for the sake of the story, that the statue was completely unbroken and complete when I personally put it in the hands of Ruchiradama Quandra Sukhapur just outside the runner’s cabin to take to Bhagavan Adi Da.. I left and returned to another room which had been rented for devotees, where I would mostly situate myself during this trip. No longer than ten minutes after I had left the runner’s station, I was called back there. I got on the telephone to speak to Ruchiradama Quandra Sukhapur. I thought it would be some words about the statue and it was. However, what I heard was quite a surprise. Bhagavan Adi Da wanted me to know that while He Appreciated the Ganesh statue very much, He was disturbed that it had a broken ear. He told me that Surendra should take more attention in packing up the statue so that breaks like this should not occur in the future. And He wanted to know what would traditionally be done with a statue that had been broken like this. He wanted me to find out from India about this. I was shocked about the broken ear. As I thought it through, it became 100% clear what must have happened. Ruchiradama Quandra Sukhapur must have knocked the statue into perhaps a doorway or a wall and have broken the statue. And for her own reasons, she just did not say anything to Bhagavan about having done that. So He presumed that I had brought the statue in a broken condition, along with the now detached ear. Within a few minutes the statue was returned to the runners station to see if it could be repaired and so I could see that it was a simple and clean break. Marble is very soft, and really just knocking it, even relatively gently, against a doorway, could cause such a break. However, the criticism of myself and Surendra about the statue being broken was very light. So I figured that somehow in His Psychic and all-knowing manner, Bhagavan Adi Da “knew” that Surendra and I had not broken the statue. I never even bothered to say anything about this to Ruchiradama Quandra Sukhapur or Bhagavan. It was so clear that she had her own reasons for telling Bhagavan that the statue was already broken. And that Bhagavan did not choose to confront her about this at this point. But it was my feeling that He had to say something about it, so that she understood that it was not just nothing that this statue was broken. So I did call Surendra and asked him if he would ask the marble sculptors, who are from a brahmin caste family, what would traditionally be done with such a broken statute. I did not tell Surendra that Bhagavan had told Surendra to take more care in packing statues, because his packing had done just fine, and the statue had arrived with me as excess baggage my airplane trip from India just fine. Surendra told me that Kamal Bharadwaj, who oversaw the Pink City sculpture studio, gave a response about the traditional orientation to any break of a statue. He was 100% clear that such a statue should simply be “thrown out” or in India, traditionally submerged in a river, lake, or ocean. A statue that had been broken in any manner was no longer considered Sacred. It was now polluted and “un-whole” and therefore should not be used in any temple or Sacred capacity. The next day i got on the telephone and passed on this information Ruchiradama Quandra Sukhapur to give to Bhagavan. I told her that according to the traditional accounts, the statue should no longer be used, and we should get a replacement for it. But I added more commentary to this. 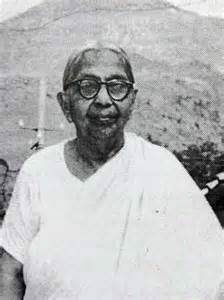 I had studied the life of Upasani Baba of Sakori, who passed away in 1939. He was a saint well-known to and Appreciated by Bhagavan Adi Da. Upasani Baba used words in unconventional ways. He would break them down in different places than is usually done, and based on this, give them new pronunciations and interpretations. These would not typically be acceptable to brahmin Sanskritists and the keepers of the traditional rules of language. However, it was understood that since Upasani Baba was not an ordinary man, but instead a Realizer, that He had the right to establish new “rules”. It was the Enlightened insights and understandings of the Realizers that had originally set the rules, and they were a higher authority than the rules themselves. So if something was prescribed by a Divine Realizer, it was a higher law than any traditional prescription. And I passed on that Bhagavan Adi Da, as a Divine Realizer, was a higher authority or source of Wisdom relative to a broken statue, than the traditional rules. So I pointedly expressed that if a marble statue were broken, but then repaired in such a manner that it was Pleasing to Bhagavan Adi Da, that such a statue need not be thrown out. It could be used just as readily as any other statue. It was, after all, Bhagavan Adi Da’s Own Use of such a statue that would give it relevance within the genuine context of Adidam, not any traditional artistic form or symbolic meanings. Bhagavan simply accepted this principle as being correct. And this was a principle that I invoked or used many, many times in my relationship with Bhagavan Adi Da. My own service at Bhagavan Adi Da’s Feet was often to research some aspect of a traditional understanding so that Bhagavan could be informed about this. Each incident of this is a story in itself. Once He asked me to determine the traditional directional orientation for a meditation hall or Sacred site. Another time He wanted to know about devotional worship of lingam stones and gender issues. He once asked me if paduka shoes should be placed so that the spindles are facing Him, or facing away from Him. He often wanted to know about the way that some word or phrase might be translated or pronounced. And I learned that His Own Wisdom or Insight into any of these questions was always senior or superior to any traditional or cultural understanding. He would always tell me, based on genuine Spiritual principles which often He only knew, just what should be the solution to the very research question that He had asked me. Perhaps there had been some genuine wisdom somewhere in the mix of a traditional or cultural custom or heritage. But that might have been long in the past. And Adi Da was a Divine Realizer who came into a culture or world-society where genuine Wisdom relative to virtually every thing had been lost. So His entire Work was an establishment of truth and right life and right orientation relative to everything in the cultural wasteland of the Western and increasingly Westernized total world of the 20th and early 21st century. What Bhagavan wanted me to find out whenever I would research something was not simply the outward observance or practice. But to try to get out what was the cultural or Spiritual understanding underneath the practice. What was the point of such a practice in terms of what is right Spiritual life. It was on that basis that He would determine what kind of practical recommendation He would make in the establishment of the genuine culture of Adidam. It became clear to me that even before asking about a traditional custom or practice that Bhagavan Adi Da already “knew” what were the essential points of any “consideration”. But something about receiving information about a traditional cultural orientation would add a certain depth and fullness and “linking up” quality to the overall discussion and eventual decision about how to orient ourselves to some area. 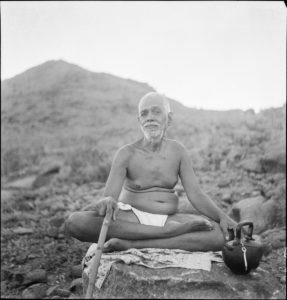 Just as in the story above about Ramana Maharshi establishing a principle of no wasting of food, as senior to a prohibition against using leftovers, Adi Da also would penetrate traditional rules and customs and even ordinary inclinations of men and women in establishing right life and Spiritual principles of a true and genuine culture. 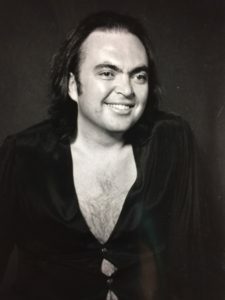 In Adi Da’s case, His establishment of a genuine culture included every aspect of life, including the domain of use of money, sexuality and relationship, and dietary wisdom, as well as sacramental worship and meditation. In every one of these areas, His Own devotees tussled with Bhagavan Adi Da about their own preferences and bargaining for what they “preferred” and His Clarity and Wisdom always shone through, even as His Strength and Heroism and Compassion was required in this Work. The following is from a devotee of Ramana Maharshi named Viswanath Swami. David Godman writes of him: He was a distant relative of Ramana Maharshi who ran away from home to join Bhagavan at Ramanasramam and eventually ended up spending most of his life there. He served both Ganapati Muni and Bhagavan during his early years in Tiruvannamalai. A good Sanskrit and Tamil scholar, he ended up translating many of Bhagavan’s texts. Many of Sri Bhagavan’s activities, utterances, and reactions were to some degree predictable. When you live in close proximity to a great being such as Bhagavan, becoming drenched in his presence and teachings, you start to believe that you understand him, at least to a certain degree. However, once in a while Bhagavan would spontaneously say things that astounded us all, making us realise how little we really knew and understood him. I remember one such statement very well. Bhagavan once told me, ‘All sorts of beings gravitate towards the presence of a jnani – devas [ inhabitants of the heavenly realms] , rishis [sages], Brahmanishtas [those established in Brahman], siddhas [perfected beings with supernatural powers] and yogis. Some come in a normal human form, but others turn up in their subtle, astral bodies. Some of these great beings show up in the guise of beggars or madmen, and some of them even manage to appear in the forms of birds and animals. JAMES STEINBERG: Beloved, the tradition is that around the Avatar, the spirits congregate to receive instruction and to partake of the center of the cosmos, they feel the blessing and the talks and discourses, and they want to be there too. AVATAR ADI DA SAMRAJ: Yes, there’s certainly all that, but there’s also not coming to learn or be blessed or awakened only. There’s coincidence with all kinds of energy, attitude, tricksterism, provocation, threat or apparent threat anyway, and it can be virtually anything, so it’s not just I’m there and everybody’s coming for blessing. Look at you all. It’s been thirty-two years of struggle, most of it sort of innocuous enough, but it’s still dealing with opposition or oppositeness or self-possession in people. So what makes you think discrete or apparently separate energies, or persons, or apparencies of some dimension of energy that’s slightly different from this are going to be anything but egoic? Why would they come for blessing if they weren’t egoic? Egos come for blessing. Those who are most right in it come truly to be blessed and to surrender. Why is it presumed that just because I am who I am that that means the whole universe is aligned to Me in some devotional manner? If that were all there were to it, why would I have to appear here to begin with? One might deduce from this that Sri Bhagavan would only cry when grieving or extremely joyful people came into his presence, but this was manifestly not the case. He would frequently burst into tears when he read out scriptural stories or dramas that had high emotional content. On such occasions Sri Bhagavan would merge so completely into the characters and the situation, he would feel their anguish, their joy, their pain and their suffering. Often this would result in a flood of tears from him. When Sri Bhagavan read these stories to us, it would not be a dry, objective narrative. He would act out the parts and the emotions of the various protagonists in a way that thrilled us all. His tone, his face, his gestures would make the scene come alive before us and at the climactic moments of the story his voice would get choked, tears would flow in profusion, and a complete emotional breakdown would often stop further proceedings. I remember two such occasions when we were so caught up in Sri Bhagavan’s re-enactment, we too ended up in tears. The first occasion was when Sri Bhagavan was reading out the passage in Arunachala Puranam in which the sage Gautama is in his hermitage. The second was when Sri Bhagavan recited from the Malayalam Ramayana the anguished rebuke of the bereaved Tara as he was complaining to Sri Rama, who had just slain Vali. On both of these occasions, those of us present were so much overwhelmed, we too also sobbed and wept with uncontrollable emotion. We could then realise that Sri Ramana was no dry-as-dust philosopher but one who high-strung nerves and sensitive heart reacted to the least emotional appeal. Sri Bhagavan himself once observed that he could sit unmoved through any amount of philosophical discourse, but he could not remain unresponsive to a passage, however small, that stirred the sentiment of devotion or sorrow. On this occasion as we gather at the feet of Sri Bhagavan we should neither discuss philosophy nor estimate our individual progress in spirituality but simply pour our hearts out to him who has graciously lived with us and befriended us these sixty years . . . I could read no more. My voice became choked and I began to cry. Sri Bhagavan looked at me lovingly, with tears of his own streaming down his cheeks. Some casual visitors might have wondered how an apparently stoical jnani like Sri Bhagavan would ever weep and show tears. The fact was, Sri Bhagavan’s heart was soft as butter, and it would melt at the slightest touch of sympathy. It was full to overflowing with the milk of grace. Lakshmi’s great devotion and possessive way in which she would always approach Bhagavan, along with the great kindness and attention that he showed her, convinced many of the devotees that there was some special bond between them. Many of us felt that although Lakshmi now wore the form of a cow, she must have attached herself to Bhagavan and won his grace by love and surrender in her previous birth. It seemed hard to us to explain in any other way the great solicitude and tenderness that Bhagavan always showed in his deaings with her. Because, although he was all love and kindness and had solicitude for all, he was normally very undemonstrative. The open expressions of his grace that Lakshmi used to receive were quite exceptional….. This post is an attempt to show how the concept or notion of the “structure of Enlightenment” or Amrita Nadi, was revealed in its fullness first by Ramana Maharshi, and then more extensively by Bhagavan Adi Da. I met with an Indian scholar in 1980 named A. G. Krishna Warrier. We met at the Adyar Theosophical Library, in Chennai. Please excuse a brief sidebar about our relationship with this venerable man. He had been hired by Adidam to do a translation of the text Yoga Yajnavalkya for us. Bhagavan Adi Da had seen a very brief summary of this Sanskrit text. On the basis of that, He felt that there might be some very consequential information in the book, and asked me to find a translator to have it put into English so He could see what was there. A. G. Krishna Warrier did an excellent job on this translation and gave the translation to me during this 1980 meeting. However, when Bhagavan Adi Da saw the completed work, He did not feel that there was anything that was so new or interesting in it, for the purposes of Adidam, that He felt that the Dawn Horse Press should publish it. During my 1980 trip I did have occasion to show this translation with T. K. V. Desikarchar in Chennai. He found it very interesting and in fact went ahead and had it translated himself and did publish the work later, and in fact there are now other English translations of this text. Returning to the discussion of Amrita Nadi, A. G. Krishna Warrier said that there were a few other places in Sanskrit texts where he had seen Amrita Nadi referred to. But I regrettably never obtained from him a list or translation of these references. It is not something that is often seen. Bhagavan Adi Da almost certainly first encountered the term in Ramana Maharshi’s literature. 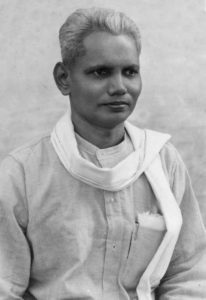 Ramana Maharshi himself states below that he was the first one to truly differentiate the yogi/kundalini aspect of the sushumna and the realization of Amrita Nadi through the descent in the heart. 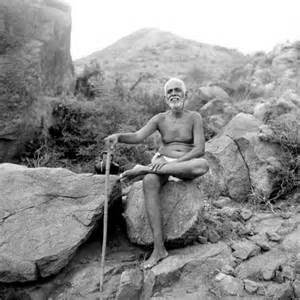 Sri Bhagavan [Ramana Maharshi] said that he went through Sitaramanjaneyam the great philosophical work in Telugu, while he was staying in Pachaiamman Temple. …Sri Bhagavan remembered having read in that book that sushumna nadi is tapomarga [the way of penance] and amrita nadi is moksha marga [the way of liberation]. The sushumna nadi is the channel that goes from the muladhara chakra to the sahasrara, Yogis claim that when the kundalini rises through this channel to the sahasrara, nirvikalpa samadhi results. Bhagavan Sri Ramana did not contest this, but he did say that there was a further channel that went from the sahasrara to the heart-centre. Citing such texts as these, he called it the amrita nadi or paranadi. Bhagavan state that the kundalini had to go from the sahasrara through the amrita nadi to the heart-centre for Self-realisation to occur. Though there are scattered references in different books to the amrita nadi and to the heart-centre on the right side of the chest, I had not, despite my extensive reading, come across any scriptural authority that stated that for ultimate and final realisation, one must come to this heart on the right side of the chest, even after reaching sahasrara. I asked Bhagavan Sri Ramana if this teaching was unique to him, or had he come across it in some book? 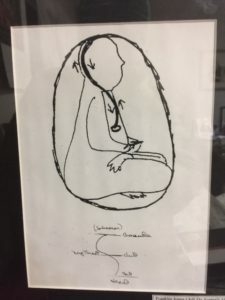 Adi Da extends the description and consideration of Amrita Nadi to a further degree, describing both its regenerated form in the transition from the sixth to the seventh stage of life, and also describing the “shape” of it. Amrita Nadi itself has a shape which you may feel from time to time. It is not within the spinal column. It is not part of the kundalini mechanism. It is of the nature of Consciousness. But it may be felt to have a psycho-physical counterpart, a coiled shape like an “S” curving forward in the chest from the set in the heart, on the right, through the throat, at which point it moves back again and curves up the back of the head toward the crown and above. But the Divine is not “S-shaped.” These compartmentalized yogic descriptions, along with all the symbolic or archetypal ones, arise because of the nature of the mechanism through which we know the Divine and the Divine Manifestation. In fact, the Divine is a single, absolute Intensity and Reality standing Present in the world, as the very Condition of the world, pg. 188, from the talk “The Divine Person”, in Garbage and the Goddess. Devotee: In the traditions, Krishna is sometimes pictured almost in an S-shaped curve. Is that the same thing as the reflection of Amrita Nadi? Bhagavan Adi Da: It is not a deliberate attempt to make a diagram of Amrita Nadi, but it is related to the intuition of it. 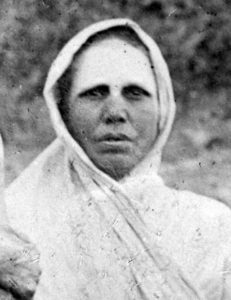 There is no conscious description in the traditions of the shape of Amrita Nadi. I know of no other place where you will find it described other than in my recorded descriptions of it. [Now it is most fully described in The Dawn Horse Testament]. But it may have been intuited without being clearly known in the mind or known experientially. Devotee: Ramana Maharshi never described the shape of it?